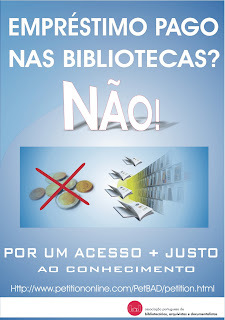 Já aqui tinha falado no estudo feito pela Brithis Library e pela JISC sobre as capacidades e competências de informação da chamada "Geração Google". 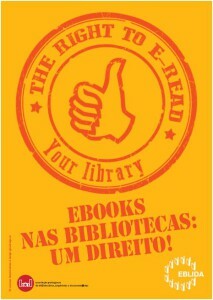 Agora aqui ficam algumas reflexões para as bibliotecas... o cenário não parece famoso a não ser que se comece a trabalhar noutra direcção: JÁ! A new study commissioned by the British Library and JISC (Joint Information Systems Committee) says that the "Google Generation"—youth born or brought up in the Internet age—is not particularly web-literate, and their research traits—impatience in search and navigation and zero tolerance for any delay in satisfying their information needs—are becoming the norm for all age-groups. The lesson for libraries, according to the CIBER research team at University College London, is that they must step up significantly, "both raising awareness of this expensive and valuable content and making the interfaces much more standard and easier to use." Ian Rowlands, the lead author of the report, Information Behaviour of the Researcher of the Future, said, "Libraries in general are not keeping up with the demands of students and researchers for services that are integrated and consistent with their wider Internet experience." Lynne Brindley, chief executive of the British Library, said, "Libraries have to accept that the future is now. At the British Library we have adopted the digital mindset and have seized many of the opportunities new technology offers to inspire our users to learn, discover and innovate." The report suggests that, as with the discussion about bibliographic control in the United States, libraries must never forget Google: "Given current levels of investment by the big corporate search engines, and static or declining library R&D budgets, it would seem that the only effective strategy is for tighter integration of library content with commercial search engines." Beyond that, further customization is necessary. "The main message of this report for research libraries is that the future is now, not ten years away," the report reads, adding "that they have no option but to understand and design systems around the actual behavior of today's virtual scholar." The report also cites "a desperate need for a well-funded program of educational research and inquiry into the information and digital literacy skills of our young people. Emerging research findings from the U.S. points to the fact that these skills need to be inculcated during the formative years of childhood.... This will require concerted action between libraries, schools and parents."